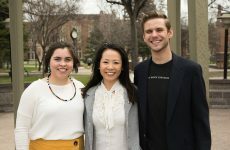 UND’s Alumni Association & Foundation is revamping its Alumni Chapter Initiative around the world to help UND’s thousands of far-flung alums feel connected to their alma mater even when they’re miles away. Image courtesy of the UND Alumni Association & Foundation. Thousands of graduates in hundreds of cities: staying connected to one another and their Alma Mater is no small task. That is why the Alumni Association & Foundation at the University of North Dakota needs a robust alumni chapter program. 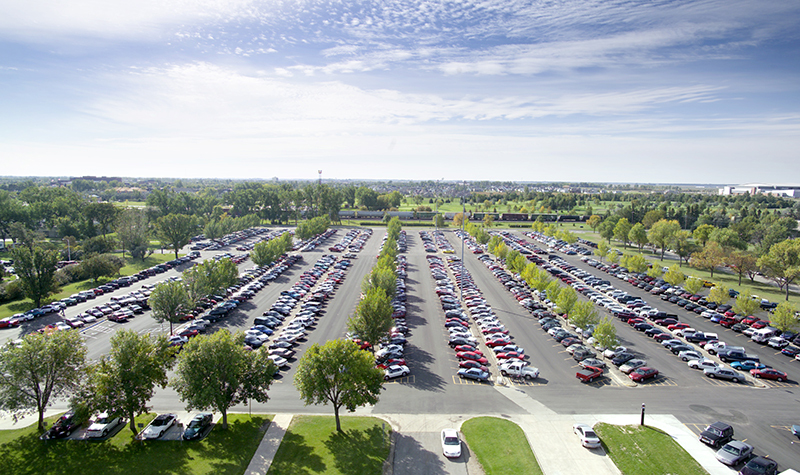 It offers UND grads an outlet to campus even they’re miles away. 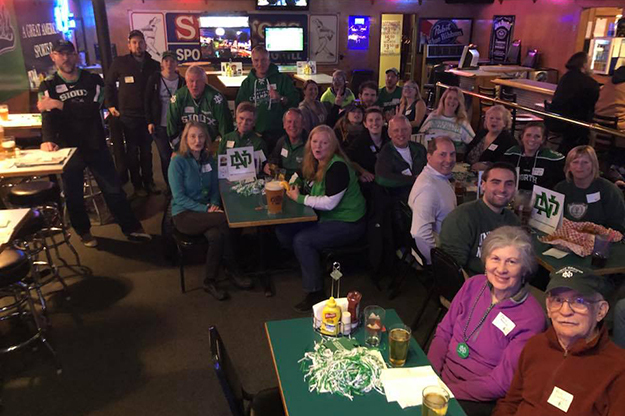 For a long time, alumni chapter gatherings pretty much consisted only of athletics watch parties, revolving around Fighting Hawks Hockey and Football games. In recent years, however, those watch parties have decreased, somewhat dulling alumni ties to the University. 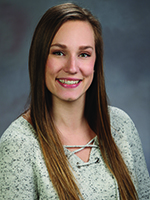 The communication between chapters and the UND Foundation also had lost some of its vigor, said Nicole Polejewski, student and young alumni coordinator. Upon assuming her new position in January, Polejewski set out to revive and revamp the Alumni Chapter Initiative. She contacted chapter leaders, alumni who organize UND gatherings in their cities, but some emails bounced back. The directory needed an update – and that’s where she started. “I relaunched the chapter program and invited people to re-fill the forms, give us their contact information and what they would like to do,” Polejewski said. And there are many things they could do – watch parties, socials, picnics, just to name a few. Next, Polejewski plans to send out a survey to alumni to gauge their preferences for activities and frequency. It’s to help chapter leaders – whom Polejewski calls “brand champions” – better cater to their fellow UND grads. No matter how big or how small the chapter occasion, the UND Foundation wants to bolster it. The Foundation not only ships UND swag to the organizers, but also invite alumni in the area via email and social media. 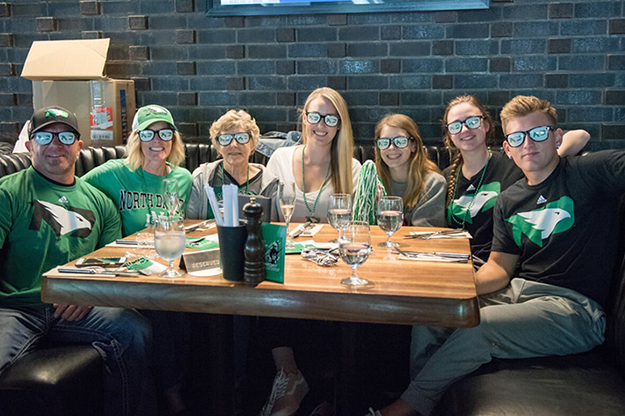 Currently, 10 UND alumni chapters exist in cities as close as Fargo and Wahpeton, N.D., and as far away as Portland, Ore., Dallas, Las Vegas and Springfield, Miss. The tally is set to grow. An alum living in the United Kingdom recently inquired about initiating a chapter there. It would be the first outside the boundaries of the United States. “I am really excited to see where this one goes,” Polejewski said. With Polejewski’s dedication, older chapters are also expanding their scope. The number of UND alumni chapters is on the grow. An alum from the United Kingdom recently contacted the Alumni Association & Foundation with interest of starting what would be the first chapter outside the United States. Image courtesy of the UND Alumni Association & Foundation. Shelly Flom, a 1992 UND graduate, brims with ideas for more engagement at the Las Vegas chapter she leads. After conversations with Polejewski, she is thinking about picnics and social hours and potlucks and game trips. Of course, UND athletics watch parties continue to be a staple. Flom, a business analyst with Southwest Medical, has been arranging them for more than a decade. Sometimes, as many as 50 alumni would gather. “We have become friends with a lot of them now,” she said. Occasionally, even an unknown relative would come. That’s how Flom linked up with a third cousin, who, little to her knowledge, attended UND before her and played basketball with Phil Jackson, the famed NBA coach and UND alumus. “You never know who is going to show up,” she said. Back in 2009, Robbie Bina, a professional hockey player who played at UND, stopped by. 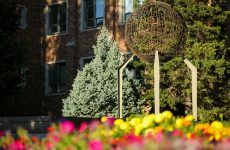 No matter who attends, Flom always seeks to create a “hometown feel,” instilled with UND pride. And ultimately, that is what the alumni chapter program is about – celebrating and supporting UND and its graduates.